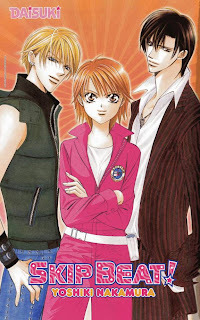 Skip Beat is one of my favorite manga that are currently running right now. This is a story of a young girl named Kyouko - about her ups and downs in life. It is one of the longest running and most popular mangas out there. It has reached its status because of its characters. You can’t help but hate Sho, love Kyouko and her craziness and adorableness, and lust after Ren. You also can’t help but root for their success in everything they do. There is also an anime adaptation that resembles the manga very much – all of Kyouko’s funny faces and expressions are captured perfectly! Read it, you won’t be disappointed.